A woman in the grocery store calls out from the neighbouring checkout line: “Hey! You’re the heart lady, right?” She continues, in what seems a much-too-loud voice, that she had been in the audience at one of my annual Cardiac Café presentations at the university. But “heart lady?” Is this really how I want to be known and recognized for the rest of my natural life? Since returning from the WomenHeart Science & Leadership Symposium at the world-famous Mayo Clinic after my heart attack, I have spoken to thousands of people – the general public, health care professionals, patients and their families – about the important topic of women and heart disease, our #1 killer. And as the first Canadian ever invited to attend this training at Mayo in Rochester, Minnesota, I was the only game in town when it came to heart attack survivors taking their Mayo Clinic show on the road. So apparently, my heart attack survival tale has typecast me in the eyes of many, like that woman in the next checkout line. To her, I’m the heart attack survivor who keeps telling and re-telling that same old story. A professional heart attack victim. Aren’t I also a mother, a daughter, a sister, a friend, a writer, a speaker, an artist, a baker of focaccia bread – and so much more than just a woman who happens to be living with heart disease? After that grocery story incident, I began to seriously re-think how both my public speaking and this very site, Heart Sisters, may actually be reinforcing my limited “heart lady” status – for other people, but more importantly, for myself. Frankly, I’d already been mulling over very wise comments from people like Nova Scotia’s Dr. Barbara Keddy, author of Women and Fibromyalgia: Living With An Invisible Dis-ease, a book that I somehow believe has nothing yet everything to do with the subject of women and heart disease. I was thunderstruck when I first read that. Isn’t “reliving past injuries” precisely what I’m doing every time I stand up in front of yet another new audience and start off my presentation about women and heart disease by re-telling my own heart attack story? How I long to be exactly like my regular old pre-heart attack same self once again! But anyone who survives a traumatic experience like a heart attack will never really be the same again, according to psychologist Dr. Al Siebert, author of The Survivor Personality: Why Some People Are Stronger, Smarter, and More Skillful at Handling Life’s Difficulties. Some survivors remain emotionally wounded for life, he explains. They relive and re-experience distressing moments again and again. Other survivors recover fairly well with the help of an accommodating family and friends, or appropriate professional help. Every transformational journey is unique, but Dr. Siebert explains that survivors in this third group have two things in common. They integrate the traumatic experience into their identity and make the experience a defining part of their life story. They talk or write about the trauma in a way that is helpful to others. When I read these words, I knew instantly that both statements rang true for me, although calling myself “better than before” would still be quite a stretch. My own cardiac event, just as for all heart attack survivors, had certainly become a “defining part of my life story”. How can it not? But I could now both “talk and write” about this trauma in a way that I’ve been told over and over seems to be indeed helpful to others in the unique way that listening to somebody who has walked the talk can be. For the women in my heart health presentation audiences, my brief introduction to my own heart attack story turns out to be a surprisingly entertaining cautionary tale of what never to do after a man with the letters M.D. after his name sends you home from the E.R. in mid-heart attack with an acid reflux misdiagnosis! I met a woman recently, for example, who told me she has attended my 90-minute heart presentation four times already over the past two years. I figured that she must be a slow learner. Or a stalker. You wonder: “Why me?” You fake being “normal.” You’re easily upset by certain statements made by others. You feel isolated or lonely. You may attempt to suppress your feelings. You may also take the courageous step to talk about your traumatic experiences with a therapist or a support group of people who have been through similar experiences.You may have nightmares. You find yourself reliving the experience. You wish this had never happened to you. You repeat, relive, and talk about the experience again and again with good listeners. You discover that after a while, you can tell a shorter version, a summary, with less emotional charge. You feel moments of relief, may sleep and feel better. You feel embarrassed about what you used to do. You feel joyous about what you learn about yourself and are accomplishing. You regress or slide back. You accept that you are human, forgive yourself, and start over again. You experiment telling your story to others outside your circle of closest friends and family. You discover that people either cannot handle listening for more than a short time or become overly sympathetic about what you went through. Both kinds of listeners have to be coped with, are dissatisfying to talk to. You struggle with assimilating your traumatic experience into your identity. How do you deal with people labeling you by your experience? You now control your experience, it no longer controls you. You can stop thinking about the experience when you want to. You gradually develop the ability to choose to:You have an ability to see through people who are trying to fake being “normal”–and you let them do that. You make yourself available to others who are just starting to deal with similar traumatic experiences. You are able to listen to them without falling back into your old pain. You encourage and coach them without trying to rescue them. You can talk about what you learned in a way that’s useful to them. talk in detail with the rare person who is sincerely interested, is a good listener, and will take time to listen. You discover that you have valuable messages for a wider audience, that you have acquired important learnings in this school of life that you want to share with others. You realize that without the traumatic experience, you would never have accomplished so much beneficial personal growth. You appreciate that you have somehow managed to convert misfortune into good luck. You find your voice. You talk to groups about your experience and what you learned. You may write an article. You may think of writing a book about how the worst thing that ever happened in your life was also the best thing that ever happened. You want others to know that something very good can come out of something very bad. You work at making your story of your experience and your healing journey a small part of your larger identity. You avoid letting your experience become your primary identity in your own mind, even though it may be how others generally refer to you. You recognize and connect with other survivors who have been through their own transformative journey. You appreciate and validate each other’s spirit. You discover at times that you’ve gone days without even thinking of the traumatic experience or your long healing journey. Find out more about Dr.Siebert’s book The Survivor Personality: Why Some People Are Stronger, Smarter, and More Skillful at Handling Life’s Difficulties. This post was featured on Better Health’s Grand Rounds. NOTE FROM CAROLYN: I wrote much more about the subject of recovery and recuperation in my book, “A Woman’s Guide to Living with Heart Disease” (Johns Hopkins University Press, 2017). You can ask for this book at your local bookshop, or order it online (paperback, hardcover or e-book) at Amazon, or order it directly from Johns Hopkins University Press (use the code HTWN to save 20% off the list price when you order). We Survive It – But Do We Ever Really Recover From a Heart Attack? ← We survive it – but do we ever recover from a heart attack? Hello. I am doing a project on heart attacks and this article was very helpful! Thank you! Thanks for letting me know, Bella – good luck on your project! You said it more eloquently than what I tried to explain my reaction regarding Dr. Gruman’s article. It ultimately doesn’t really matter how others label us as long as WE know we are more than our afflictions, bodies, what we have or what we do. We are all connected in this universe and all have purpose. It seems to me you are being honored by people remembering you as “The Heart Lady”. People are experiencing your love. WOW! That’s what I call “purpose”. This is such a great resource that you are providing and you give it away for free. I truly loved reading your post – it helps to explain why we need to tell and re-tell our heart attack stories. Thanks! I’m one of the thousands of women who have attended your heart presentations. It was at the “Women In Business” event 2yrs ago where you were the keynote speaker, and it was also just 3months after my own heart surgery. I’ve always meant to send you a thank you note after that talk, so I’m belatedly saying THANK YOU right now for sharing such valuable information from the Mayo Clinic. “…You avoid letting your experience become your primary identity in your own mind…” I’m still working on this one!! For over 2years I have been secretly frightened of having another heart attack pretty well 24/7 but I’m trying to ease up on myself. The stress of such fear is horrible. I’m doing yoga now to help relax. Thank you again – I loved this article and your whole website. You inspire me. Your wisdom, experience, knowledge about not only cardiac health but life in general contribute to an awesome website! You are a Canadian heroine. You keep talking! 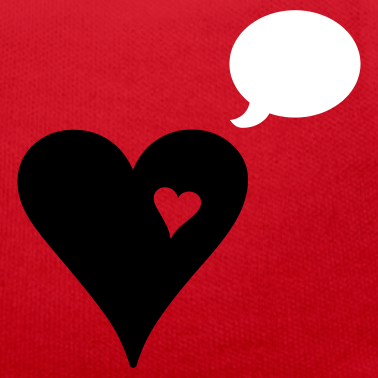 There are a lot worse things than being “the heart lady” and you are teaching so many people such important things – so talk away, heart lady – it’s all good!